Implant dentistry has become a vital part of today’s modern dentistry. 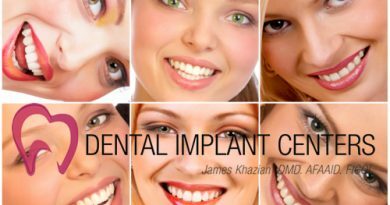 dental implant procedures such as teeth in a day, all on 4, same day dental implants, immediate dental implants, and advanced bone grafting techniques are now available to anyone who has missing teeth or is about to lose teeth to benefit from dental implants. There is no doubt, among dental professionals, that dental implants offer the best treatment to replace missing teeth. The good news is that dental implant restorations have the highest success rate compared with traditional methods such as bridges. Unlike natural teeth, dental implants do not decay. They are also less prone to fracture and more resistant to periodontal (gum) disease. If you have missing teeth, are about to lose your teeth, have advanced periodontal (gum) disease, or have dentures which compromises your life style, you may want to know that dentures and bridges are no longer acceptable treatments. dental implants can give you replacement teeth that function, feel, and look like natural teeth. Advanced techniques are now available in implant dentistry to restore lost or failing teeth.